Very sensitive to the subtleties of color and how each hue is effected by those around it, Debra Gould was dubbed "as color conscious as Matisse" in a magazine cover story. A house is just an empty shell until we make it a home by filling it with color, furnishings, art and special objects that have meaning for us. Through thoughtful placement of these, we build an environment that enriches us, provides sanctuary and also one that is welcoming to others. They feel it as soon as they enter our space. I’ll be sharing a number of books with you that I have found helpful in learning about design and color— more importantly they inspired me to think about interiors in a new way. I have all of the books I’ll be recommending in my own library and I hope you will find them as inspiring as I have. I welcome your feedback and any recommendations you have for similar finds. You can also send me your color and design questions for me to answer in an upcoming issue of Six Elements News. 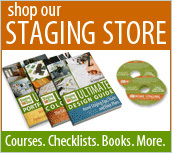 Whenever you’re looking for an inspiring book, just click on the category “Decorating and Color Books” in the column on the right and you’ll see a list of posts on each book in the collection. When you click on any title you can read my summary, see a cover design and find links to order online from amazon.com and amazon.ca . 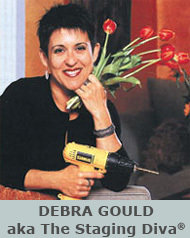 Internationally recognized home staging expert Debra Gould is President of Six Elements Inc. and creator of the Staging Diva Home Staging Business Training Program. 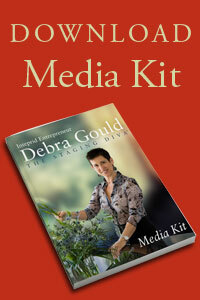 An entrepreneur for 20 years and author of several guides, Debra has staged millions of dollars worth of real estate and uses her expertise to train others worldwide. 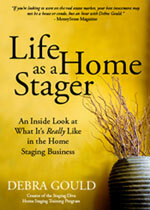 -- Louise Summerhill, Cabbagetown Client's feedback to Home Staging of 12 room home; sold in 4 days, 97% of list price.